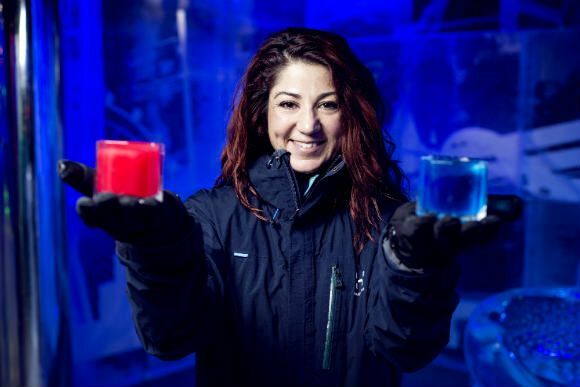 Once a year the Ice Bar reinvents itself with a new themed design. The featured theme until May 2019 is LONDON LAND, a playfully tongue-in-cheek concept that invites guests to enter an alternative icy London served with a twist. 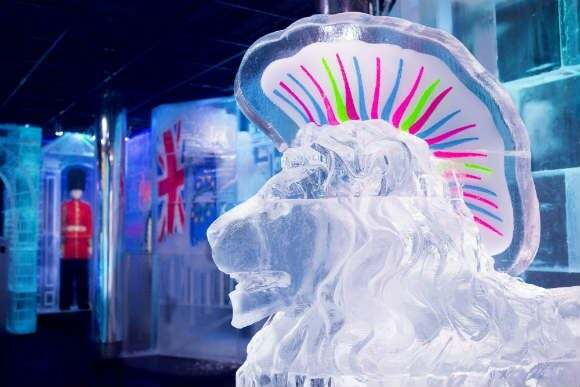 In addition to the ice bar experience, the venue also features an adjoining bar or restaurant where guests are welcome to relax before or after their ice bar session and enjoy a range of classic and signature cocktails or dine from a seasonal menu of modern European dishes. Under 18s are welcome Monday - Saturday up to and including the 6.30pm Ice Bar session, and all day Sunday when accompanied by a parent or guardian. Monday 2:15pm - 10:15pm, Tuesday - Thursday 1:30pm - 11:00pm, Friday 1:30pm - 12:30am, Saturday 10:30am - 12:30am, Sunday 12:00pm - 10:15pm. Sessions inside the ice bar are 40 minutes long, and all tickets include thermal cape and gloves with child-size capes are available for family visits. Entry is subject to availability and you may be required to queue or wait for an available session. Belowzero also features a warm cocktail bar, the Fire Bar, and the Karve Club restaurant alongside its -5°C experience where guests are welcome before or after their Ice Bar session. Advance booking is recommended, especially for popular days e.g. Fridays and Saturdays, and the venue Reservations Team can be contacted on 020 7478 8910 or res@belowzerolondon.com Opening Times vary. Tickets are not valid for special sessions e.g. Champagne or when a special menu is in operation. All tickets include thermal cape and gloves with child-size capes are available for family visits.